Forget about Shark Week! 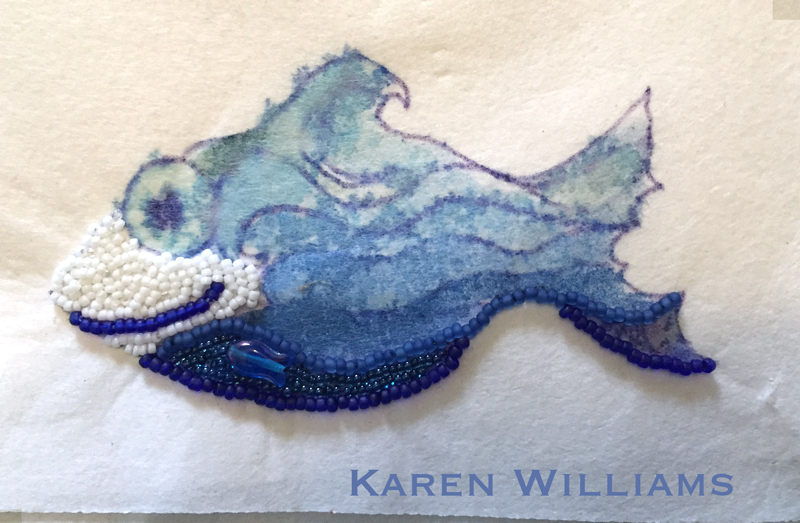 It's Happy Fish Week around here, with lots of fishy doodles, beads strewn everywhere and fun. All in preparation for my newest workshop this Thursday at Fusion Beads. In between tide pooling, going to the movies to watch space aliens try to take over the world, and eating too much watermelon, I spent the weekend putting the finishing touches on the tutorial for my newest workshop on freeform bead embroidery. 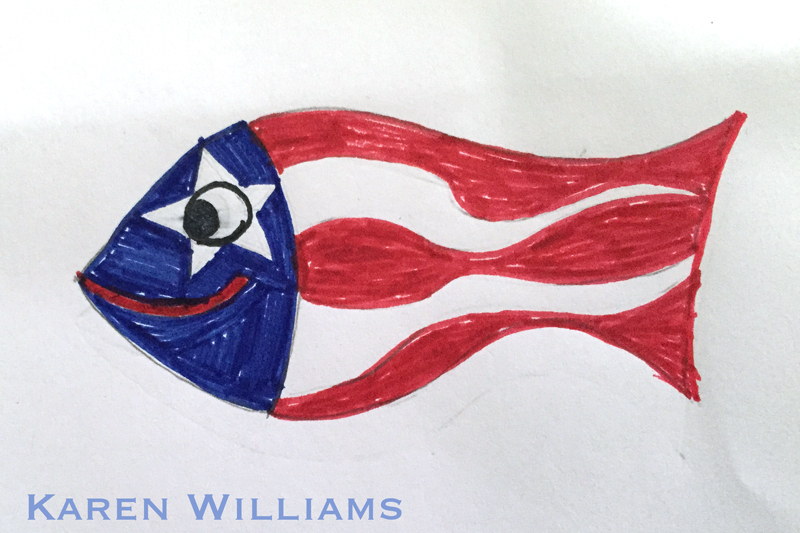 I also had some fun playing with sketches for Patriot Fish - how could I not on the 4th! Yankee Doodle reminds me of a super-hero fish, with his blue mask & star design. Feels like he needs his own comic book adventure! I've also started an ocean camouflage fish, though he's really my Deep-sea camo, or my Carribbean Waves camo fish, because he really doesn't blend with the local waters. Really, he's my Surfer fish, because he's designed to blend right in the the waves, or will be once he's done. Maybe I'll need to create a local fish as well, one set to hide in the local kelp beds? Guess we'll have to see. If you're in town and looking for something to do this week, come join me for some bead embroidery fun. (You can see some of my earlier Happy Fish here and here).